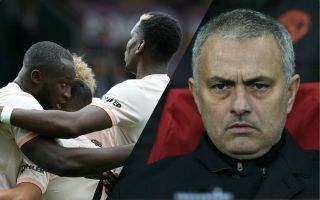 Manchester United midfielder Paul Pogba has held talks over his future at the club with manager Jose Mourinho and come to some kind of agreement regarding the timing of a transfer. According to the Daily Mirror, while Pogba will not agitate for a move away for the time being, there seems to be an agreement that the France international will settle with staying at Old Trafford for one more season. This could be significant as the new Champions League ruling regarding cup-tied players means big names moving in January this year seems more likely. The Mirror mentions interest in Pogba from Barcelona and Juventus, and it seems the 25-year-old is still keen on leaving United, with the report stating he is ‘almost certain’ to push for a transfer again next summer. Crucially, however, this gives the Red Devils time to get their house in order a little more and perhaps persuade their record signing to stay. CaughtOffside understands Zinedine Zidane has already spoken to Pogba about being confident of being offered the United job soon, despite growing talk that Mourinho is safe for the time being. United got back to winning ways against Burnley at the weekend, and will hope to make a fresh start to the campaign once the international break is over. If the club can bounce back and enjoy a successful season, or at least change manager, perhaps this latest Pogba development gives them time to improve their chances of keeping him at Old Trafford.